Sigal Samuel reviews 'Hannah Arendt,' noting how well the film reflects today’s often-hysterical discourse surrounding anti-Semitism, Israel, and the Holocaust. Hannah Arendt, directed by Margarethe von Trotta and starring Barbara Sukowa as the German-Jewish philosopher, feels strikingly contemporary despite being set against the backdrop of the 1961 Adolf Eichmann trial. By showing the harsh attacks Arendt endured for daring to portray the Nazi as anything other than the devil incarnate, this film reflects today’s often-hysterical discourse surrounding anti-Semitism, Israel, and the Holocaust. 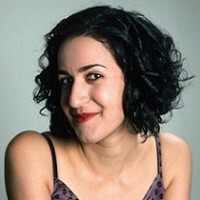 That this question is illogical—it assumes that criticism of some Jews’ actions precludes love for Jews as a whole, or, even more tenuously, for the state of Israel—does not stop it from being echoed in all the “hysterical reactions to [her] report.” A philosopher, Arendt tries to defend herself by explaining that her goal was to understand, and “understanding is not the same as forgiveness.” It’s a gesture that proves futile in a way that will be painfully familiar to many contemporary liberal Israeli and Diaspora Jews, who—though they count themselves in the pro-Israel camp—are critical of Israel’s occupation of the Palestinian people and so find themselves accused of anti-Zionism and even anti-Semitism by an increasingly shrill pro-Israel right. The film’s greatest accomplishment lies in its ability to show how both Israeli and American Jews sought to eliminate moral complexity in the wake of the Eichmann trial, promoting clear—though, when it comes to the question of the Jewish Councils, opposite—extremes, and leaving Arendt to fall through the gap in between. On the one hand, we see American Jews eager to perpetuate the narrative of Jewish victimhood—the lamb-to-the-slaughter version of history. Viewing European Jews in the Holocaust era as bereft of agency, they’re inclined (contra Arendt) to absolve the Nazi-appointed Jewish Councils of guilt. On the other hand, we see Israeli Jews eager to reject the narrative of Jewish victimhood in favor of the culture of the Sabra—the strong, tanned, militaristic Jew brimming with power and agency. The film points this up in subtle ways—Israeli soldiers are often visible in the frame when Arendt is in Israel—and in not-so-subtle ways—during the Eichmann trial, the Holocaust-surviving witnesses are ordered not to publicly detail all the demeaning experiences they endured. Seeking to promote an idea of Jews as masters of their own destinies, Israel is more inclined to seek out and punish those Jewish leaders who collaborated with the Nazis. Hannah Arendt is particularly timely because this debate over Jewish identity did not die with Eichmann—it’s alive and well in Israel today. In her inaugural speech to the Knesset, MK Merav Michaeli recently spoke about her grandfather Rudolf Israel Kastner, who negotiated with Eichmann to save Jewish lives and was later assassinated after an Israeli court condemned his actions. She points out that the Israeli attitude that lent itself to such assassinations has been on the wane for some time now; by and large, Israelis have come to adopt the same lamb-to-the-slaughter narrative favored by American Jews. This narrative of perpetual victimhood, Michaeli suggests, is every bit as damaging as the other extreme—the narrative of Sabra machismo. Arendt’s thinking sought to circumvent such extremes. She refused to see Eichmann as pure evil and refused to see Jews as pure victims. For this crime, she was persecuted by both American and Israeli Jews. As the film shows, the Jewish discourse of her day had a low threshold for nuance when it came to anti-Semitism, Israel, and the Holocaust. Unfortunately, that’s just as true now as it was then. Holding a mirror up to today’s discourse, Hannah Arendt is a perfect reflection of our times.